If you are soundproofing a room, it’s important not to neglect the floor. 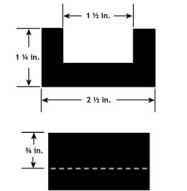 While most sound transmission may come through walls, any barrier between you and the outside of your space needs to be reinforced against sound to truly protect you from unwanted noise transmission. 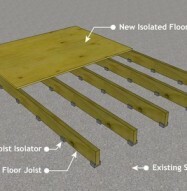 Part of soundproofing your floor is isolating the flooring from the structural assembly. 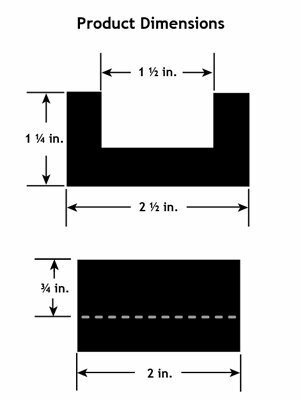 This is important due to the problem of impact noise, noise caused by vibrations and impacts rather than through airborne frequencies. 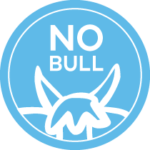 This noise can be just as distracting as airborne noise. 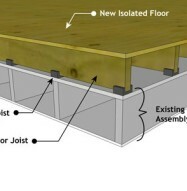 Therefore, for true floor noise and sound reduction, you need Floor Joist Isolators. These are U-shaped pieces of thermoplastic, which is known for its sound control properties. The pieces fit around your joists and block the vibrational noise from coming through your floor. 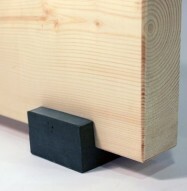 The isolators can fit on any 2X lumber product, and they are easy to install. 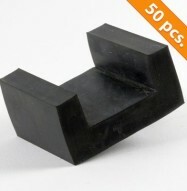 In fact, you simply fit them over the joist and snap them into place. There are no tools of any kind required, and anyone can do it, so if you are working on a do-it-yourself soundproofing project like creating a home recording studio, these are a perfect item to include. 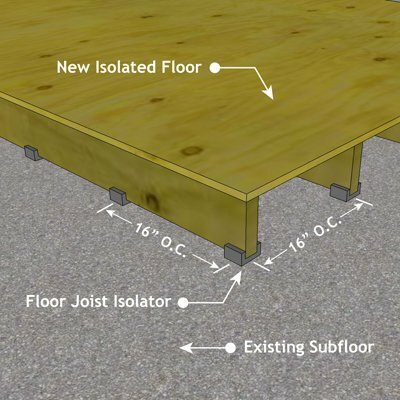 Before laying down sound-deadening rugs, barriers or other floor soundproofing material, you need to control for vibrational noise. 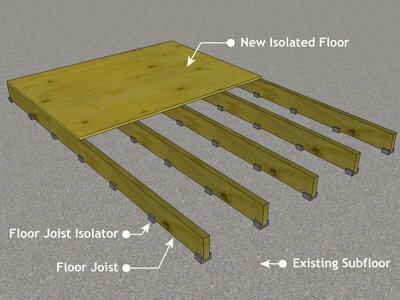 With our Floor Joist Isolators, you have the tools you need. 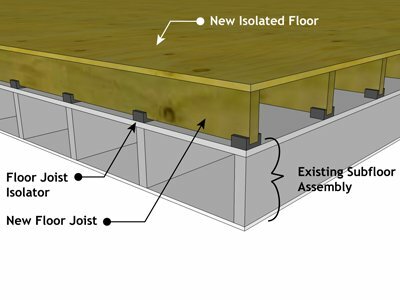 For an affordable, effective addition to a complete floor soundproofing solution, order your Floor Joist Isolators from Soundproof Cow today.